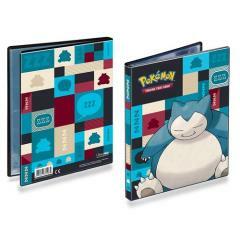 4-pocket portfolio featuring Snorlax art from Pokémon. Holds 40 collectible cards single-loaded or 80 double-loaded. Each Portfolio includes 10 high-clarity, archival-safe pages.